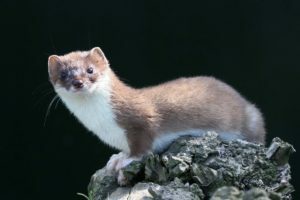 Can you help us, with your memories of seeing wildlife, to fill in gaps in our knowledge of selected wildlife species? In East Cleveland we have hardly any wildlife records. The area’s biodiversity has changed significantly since the middle of last century from the effects of agricultural intensification, abandonment of woodland practices, urban development, species introductions and other factors. Mammals and reptiles will have undergone big changes in distribution and abundance and some could be lost from our landscape. We can’t go back in time and collect the records. However, your memories can make a valuable contribution to conservation by helping us to understand the past distribution of certain animals. We will use this improved knowledge of wild life distribution to further the conservation of some of our more vulnerable wildlife. 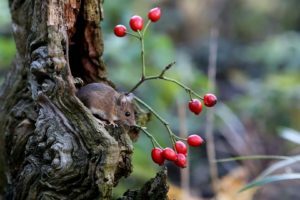 This will include new research to determine whether there are residual populations of rare species such as dormouse, harvest mouse, water voles and adders and to prioritise the restoration of habitats to help protect and rebuild wildlife populations. Please help by sharing your memories of different wildlife and showing us where and when you remember seeing particular animals by using the web based map below. The memory you upload will help to build up a picture of the past distribution of wildlife in East Cleveland . All entries are checked so there may be a delay before it appears on the website. Your contact details are only for our use if we need to contact you regarding your submission. Please fill in the spaces marked * or the submission will not work. For our use only if we need to contact you about your entry. Please enter a value between 1900 and 2090. Drag the marker to where you saw the Wild Thing. You can zoom in for a more accurate location. Use this space to add more information on your observation if you can. If you can remember that approximate year it would be helpful. How often did you see this animal at that place. To enable us to use your record of your memory can you please agree to the following terms and conditions. I am the owner of each record or text. I own the copyright and any other intellectual property rights of each record or text. I have not licensed or disposed of any rights in the record or text that would conflict with the uses to be made by the Tees Valley Wildlife Trust or the Heritage Lottery Fund.